Our Turkey Dinner biscuits are formulated with Canna-Pet® Advanced and baked in the USA with organic, non-GMO, quality food ingredients. We hold our biscuits to the same quality standards as the food you serve to your human family. Our bite-sized biscuits are perfect for any size pet, convenient to bring along when traveling. Each box contains 37-40 biscuits (8oz / 227g). 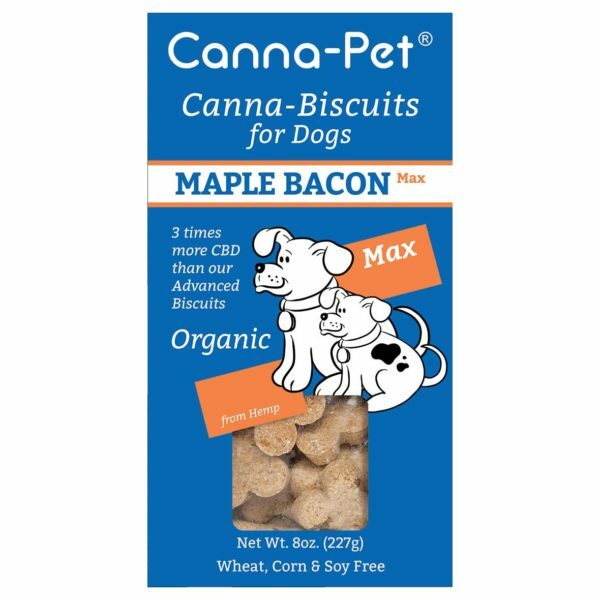 Each biscuit contains 80mg of Canna-Pet® Advanced Small formula. Each biscuit contains Canna-Pet® Advanced, a mix of CBD compounds and terpenes. We employ proprietary processes to deliver as many of the activated hemp compounds, terpenes and flavonoids as possible. This key feature ensures your pets benefit from a broad range of CBD phytochemicals. Canna-Pet® products are made exclusively from industrial hemp, a non-psychoactive plant which represents a natural terpene source for pet supplements. Organic Barley Flour, Farm Raised Turkey, Organic Cranberries, Organic Carrots, Organic Cinnamon, Organic Sage, Hemp.